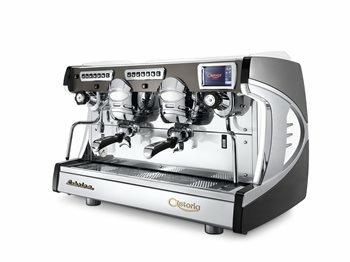 A striking machine, taking inspiration from the Vintage style of the 60’s, Sabrina stands out for its character and elegance. Sinuous and harmonious lines, underlined by touches of light irradiating from the background, characterise the machine side panels. Soft and dynamic features bring together the professional character and the bold but refined style of the chromed group covers. A unique and charming design at the service of technology, handiness and reliability for a final result offering great performance.